​Address : Office of Sub Registrar-IX, Old Terminal Tax Building, Near Fun n Food Village, Kapashera, New Delhi. For getting your documents registered at Sub Registrar Office Kapashera, you may contact us at 8800418408. ﻿﻿Kapashera Sub Registrar office is the Delhi’s fourth E-Sub Registrar Office and was inaugurated on 12th April, 2013. Location - Located in the South West district of the Delhi State, in the Tehsil area, Kapashera is a village 11km west from District head quarters in Vasant Vihar, and 5km from South Delhi Campus. 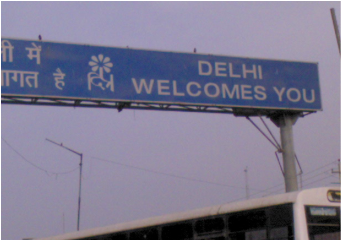 It is situated in the border of the South West Delhi District and Gurgaon District, Gurgaon comes south to it. Haryana state border lies near to it. Want to get Registration of Documents done at Kapashera Sub Registrar Office ? Leave your query here and we will get back to you shortly.